When the Professional and Amateur Sports Protection Act became a law in 1992, sports gambling was made illegal in all but four U.S. states. Nevada was the most obvious exemption, but partial exemptions were also made for Montana, Oregon, and Delaware. In this article, we’ll look at the current state of sports betting in the state of Montana, as well as discussing some of the local sports teams that are available to be wagered on. This information is meant to be helpful and entertaining, but it should not be considered a substitute for actual legal advice. When it doubt, always seek out the advice of a professional lawyer. Notice that traditional sports betting isn’t included on the list, and neither is the art of bookmaking. Despite the state’s inclusion in PASPA, it still doesn’t allow residents to behave as though they’re in Las Vegas. It might seem as though Montana would be a paradise for sports gamblers, but that’s not the case. The state has been cautious with their approach to legalized gambling, and this even extends to the usually safe practice of online play. (1) Breaking the law opens you up to potential legal problems such as arrests and fine. In addition to public humiliation, it could also lead to a loss of social standing or difficulties at your place of business. While these dangers are unlikely to occur over a minor gambling bust, you can’t always predict how members of the community (and your family) are going to react to such events. (2) Even if you decide to ignore the law, you still have to find a reliable online bookmaker who’ll accept your wagers. This became more difficult after 2006, when a number of leading books and casinos abandoned the U.S. market following the passage of the Unlawful Internet Gambling Enforcement Act. When you do find a site that still takes American bettors, there’s also the danger of getting screwed over. Before you open an account at a virtual sportsbook or casino, it’s always prudent to do research and make sure the site pays their customers on time. Because of the low population in the state, there are no major league franchises operating within Montana. This stinks for fans of sports betting, but don’t expect the situation to change at any point in the near future (unless the state experiences a major population boom). While all the major teams may be absent from the state, Montana still has a number of minor league organizations to wager on. You’ll be hard-pressed to find a bookie offering odds on their games, but you can still scare up some action on these clubs by turning to friends, work colleagues, and assorted superfans. If you’re going to wager on a college team in Montana, NCAA Division I is the way to go. This upper collegiate echelon features the toughest competition, the best attendance, and some of the most fanatical fans. It also helps that Division I football and basketball games are routinely given point spreads by bookmakers around the globe. Because there are no pro teams in the state, the NCAA football and NCAA basketball games that take place are the biggest games in town. • University of Montana – The Grizzlies compete in six sports, while the Lady Griz are active in nine athletic events. The women’s basketball team has been to the NCAA Tournament 18 times, while their male counterparts have advanced to post-season play on seven occasions. Their football program captured national titles in 1995 and 2001, although these were part of the Football Championship Subdivision. 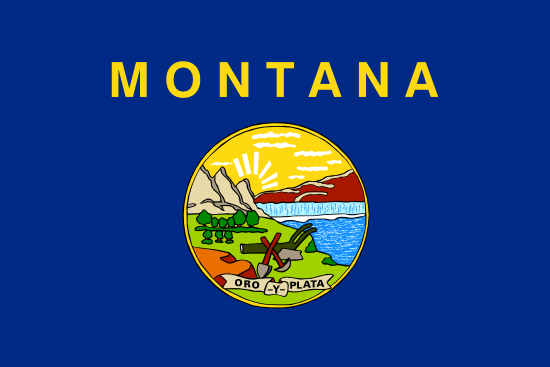 • Montana State University – This Bozeman-based university was founded in 1893 and field men’s and women’s athletic teams known as the Montana State Bobcats. The teams compete in 15 varsity sports, and they captured a national title in men’s basketball, three football national titles, and eight national team championships in rodeo. Montana may have a few more betting options than most states, but they’re still a long way from being on a par with Nevada. The fact that online gambling is prohibited is also a major drawback, as is the absence of any major league sports franchises to wager on.